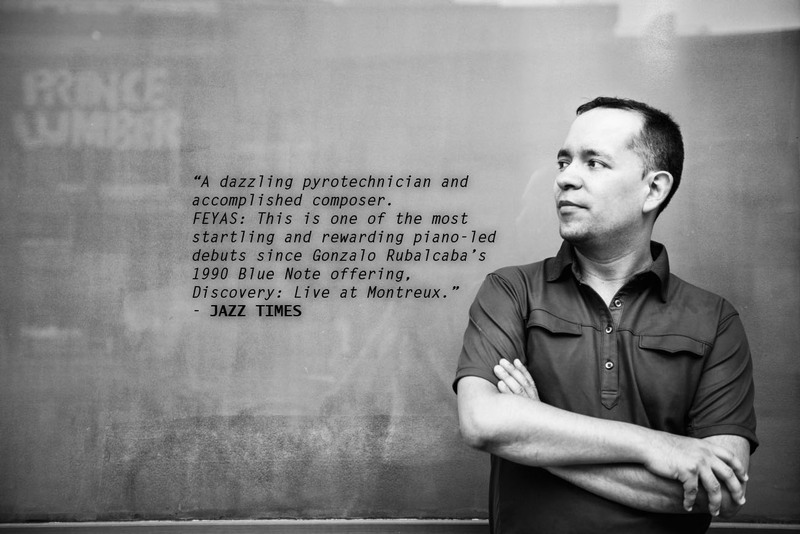 We start our Jazz program with a new release named FEYAS which just came out in 2012 by New York-based Colombian pianist Gabriel Guerrero leading this exquisite sound journey. Guerrero has been part of Danilo Perez Big Band as well as pianist for world renowned saxophonist Jerry Bergonzi who is a guest on the album. We begin our journey with the intelligent version of “Colombia Tierra Querida” written by Lucho Bermudez and arranged by Guerrero to what the pianist states is a special vision of his country Colombia. The track “Ritual” evokes in a prayer like mood the strength that comes from above. One finds surprising that a Jazz record such as this album by young Colombian Pianist Gabriel Guerrero is inspired and dedicated to the shining, evanescent and beautiful presence of angels in an early dream in his childhood to which Guerrero named Feyas which gives the title to this album. Guerrero proposes in this album a very careful and mindful revision of some rhythms from the Colombian music tradition by intelligently incorporating some rhythmic cells of “Bullerengue” and “Porro” to the universal context of Jazz as an innuendo of the lineage which inspires him with the music of great composers such as Lucho Bermudez and Bud Powell as heard on Powell’s “Un Poco Loco.” The young pianist’s formative years were mainly in classical music and in the album acknowledgements he thanks to the memory of Isabel Garcia, his first piano teacher as well as his also teacher and mentor Charlie Banacos to which Guerrero wrote the song “Charlie.” Guerrero is part of an emerging group of musicians in New York and his presence in this difficult scene is very important for Colombia. The album FEYAS features musicians such as Samuel Torres, Jorge Roeder, Eric Doob, Bruce Gertz Jerry Bergonzi among others.